Tonight is the night!!! Are you ready to scare and to be scared? Is your Halloween costume ready? Vampires, witches, zombies from all over the world, we have one last reason to celebrate before closing ourselves indoors in wait of the first snows to gently flow down!!! 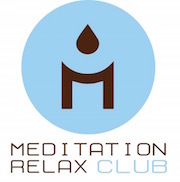 Happy Halloween 2015 from Meditation Relax Club! We know that not everybody celebrates this occurrence, but we do wish that everyone can get into the spirit of the feast nonetheless. As a treat, we can’t give you chocolate bars and candies, but here is some spooky Halloween music you can listen to while celebrating with your friends or your family! I hope you will enjoy this awesome spooky Halloween music playlist and remember to hop on over to our main youtube channel Meditation Relax Club for more scary Halloween music.